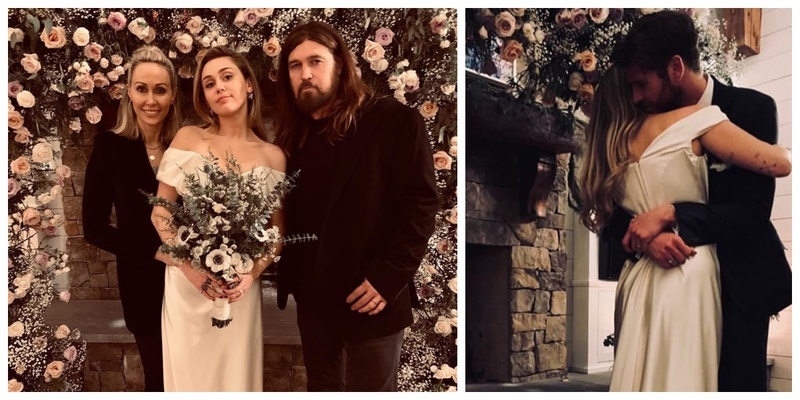 Miley Cyrus tied the knot with Liam Hemsworth in an intimate Wedding Ceremony and I'm loving their Wedding Pictures! The duo tied the knot in a very intimate wedding which was attended by strictly family at their home in Franklin, Tennessee. And while the couple kept their wedding plans under wraps, they finally shared their pics from the special day after they exchanged the vows. “This is probably our one - millionth kiss ….” Miley captioned the picture! Cyrus captioned this saying, “10 years later”. P.S., Hemsworth made a guest appearance on the video too! The lovebirds held on to each other as they cut their wedding cake. I mean it doesn't get more cool than this!